The Empire State Building was shining blue on Tuesday last week thanks to Millie Bobby Brown. On World Children’s Day, which is celebrated on various dates in different countries, children around the world will unite for their rights and “take over” key roles in government, entertainment, and business. Just a few days earlier, Millie became the youngest-ever UNICEF Goodwill Ambassador. In her role, the young actress will use her global platform to help raise awareness of children’s rights and issues affecting youth, such as lack of education, safe places to play and learn, and the impact of violence, bullying, and poverty. 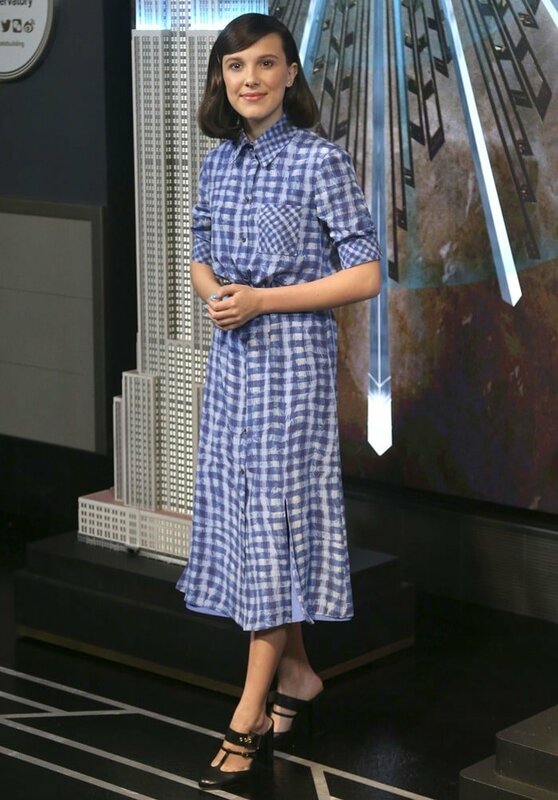 The 14-year-old ‘Stranger Things’ star attended the lighting ceremony in a blue, plaid Altuzarra Spring 2019 dress and a matching puffer jacket. She styled her gingham dress with a hideous pair of Chloe Gosselin ‘Olympe’ mules. While not yet available in black online, you can buy her shoes in teal/orange at Farfetch and Shopbop. 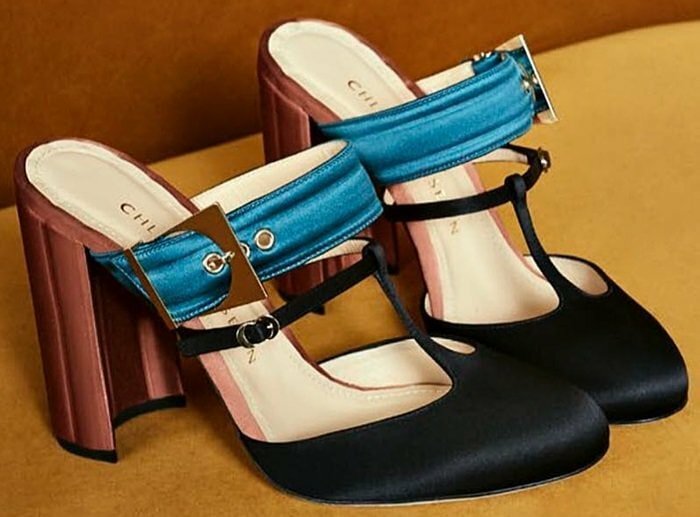 How do you like these teal, copper and black leather and silk crepe mules featuring an almond toe, a T-strap to the front, a side buckle fastening, a branded insole, a backless design, a branded insole, and a high block heel?